Pound Sterling is the best performing currency in G10 after Prime Minister May told delegates at the CBI's 2016 conference that the Government was working to avoid a "cliff's edge" Brexit transition. All eyes were on Prime Minister Theresa May when she addressed the CBI conference with expectations that something 'Brexity' would be slipped. With Sterling still incredibly focussed on this evolving story we believed there was a chance they would be thrown some bones to sink their teeth into at the start of the new week. May has told delegates that she is aware of the uncertainty that Brexit has provided and negotiations cannot be concluded quickly but she also sees there are new opportunities to be had, particularly in the form of "new and dynamic" trade deals that can be made. The Prime Minisiter did imply she would look for a transitional deal for business after Brexit - which could explain the bounce in GBP/USD this morning. 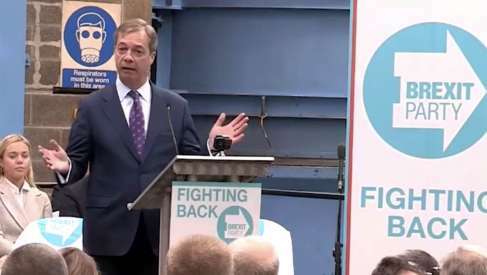 The PM said she wanted to get "the arrangement that is going to work best for the UK and the arrangement that is going to work best for business in the UK". She added there were issues that "need to be looked at" and that she understood businesses did not want "a cliff edge". if you missed these few words then you missed the message completely. However, what is interesting is that there was a lagged delay in the market's decision to buy Sterling which suggests a big fish went through the script and figured this was a big story that everyone else in the market missed. "It appears that May’s reassurances that the government is working to avoid a Brexit ‘cliff edge’ for businesses, comments that perhaps suggest a transitional deal, have caused sterling’s resurgence," says Connor Campbell at Spreadex. "And what a resurgence it was, with the pound rocketing more than 1% higher against the dollar and 0.8% against the euro; its performance against the latter is especially remarkable given that it was nearly half a percent in the red earlier in the day." In essence the transitionary deal is something similar to the Norwegian model whereby the country is a fully-paid up member of the club and can access the single market in its entirety. The ex-finance minister of Greece Yanis Varoufakis actually told Sky News ahead of May's speech that he believed this is the model the UK should deploy to avoid any shocks. Note that this is not a soft-Brexit - indeed a complete breakaway from Europe could happen, but it would take a good while to get to this point which in turn affords the UK more certainty. And markets like the idea. Ahead of the CBI's 2016 conference getting underway the organisation released the findings of their latest survey into R&D in the UK and an interesting response to the Brexit vote has been observed by the CBI. The CBI’s Innovation Survey 2016 has revealed more companies are choosing to respond to the UK’s decision to leave the EU by increasing innovation expenditure than those who are planning to hold back. Another shot in the arm for the UK at the start of the week on news that Facebook intends to double its UK workforce in a major new investment drive. The UK remains one of the best places to be a tech company," says Facebook’s European boss Nicola Mendelsohn. Facebook's new headquarters will be in Fitzrovia at a site that is currently undergoing redevelopment. The investment follows confirmation by Google a week prior that it would go ahead and invest in a large new headquarters in London’s Kings Cross. That the UK continues to attract inward investment even before Brexit talks have begun is a positive for Sterling which relies heavily on foreign direct investment to sustain itself. This is because the UK imports more than it exports and Sterling value can only be sustained by such inflows of currency. 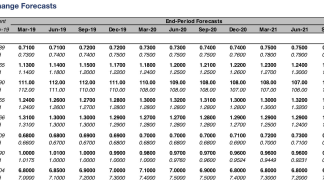 Research in from HSBC today shows analysts are still not ready to be suckered into upgrading their forecasts on Sterling despite the October-November recovery. On the contrary, they confirm they are conviction bears on the currency. While HSBC joins the likes of Goldman Sachs and Morgan Stanley in advocating for further decline in GBP over the longer-term period, the near-term rally may extend. 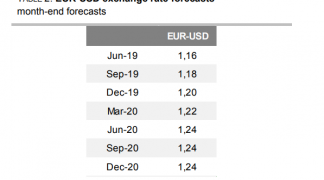 Analysts at DNB Markets believe there should be further short-term respite for GBP hawks and have updated their three-month forecasts for the Pound against the Euro accordingly. "We expect to see further GBP appreciation in the short run, as data still resilient to Brexit and US Presidential election improves UK hand in negotiations," say DNB in a client briefing. "But uncertainty will resurface with Brexit negotiations and new trade arrangements." DNB believe Sterling must needs to stay weak in order for foreigners to continue funding the current accoun deficit. This is the deficit created when a country imports more than it exports - the currency finds itself being 'topped up' by inflows of capital from foreign investors, without it the currency would collapse. Indeed, based on the UK's large current account deficit some analysts believe the Pound could actually par the Euro. DNB keep their forecast for GBPEUR in 12m unchanged at 1.0869, but see room for more GBP strength in the short term with their forecasts for March 2017 being raised to 1.1627. Sterling was seen to be holding its ground against the surging Dollar, "with more of a slight negative drift than any precipitous decline. However Friday’s candle was far more aggressive and the move breached the neckline support at $1.2330," says Hantec Markets' Richard Perry at the start of the new week. Perry notes that the Stochastics have dropped back into bearish configuration and the RSI is back to falling below 50. "However the failure to close back below $1.2330 means that the bears are not entirely in control quite yet and this will be the aim today to prevent this from happening. The market is though looking far more corrective now and on the hourly chart the configuration of the momentum is negative whilst there is a succession of lower highs," says Perry. Hantec Markets note there is now resistance of the overhead supply around $1.2380 whilst the latest reaction high was from Friday at $1.2435. A move back below $1.2297 (Friday’s low) would simply continue the track lower, with next support around $1.2240 and then $1.2200. The Euro is on a charge at the start of the new week largely thanks to a recovery bounce in the heavily-sold EUR/USD rate. This is aiding EUR/GBP higher and "while the short-term trend is still very much down and expected at this stage to gradually work its way down to the 0.84-0.83 region (summer lows and key weekly trend support), near-term studies are more constructive," says Robin Wilkin at Lloyds Bank. As such Lloyds see the risk of a move back to the 0.8655/60 region, with a break there suggesting a broader correction back towards 0.8765/75. "Long term, we are wary that another move to test the 0.9802 highs set back in 2008 can’t be ruled out. A move through medium-term support in the 0.8350-0.8300 region would force us to review this outlook," says Wilkin.